Frankie Dupont Mystery Series is great for reluctant and confident readers for ages 8-12, with short chapters and engaging illustrations. Best read in order but not necessary. 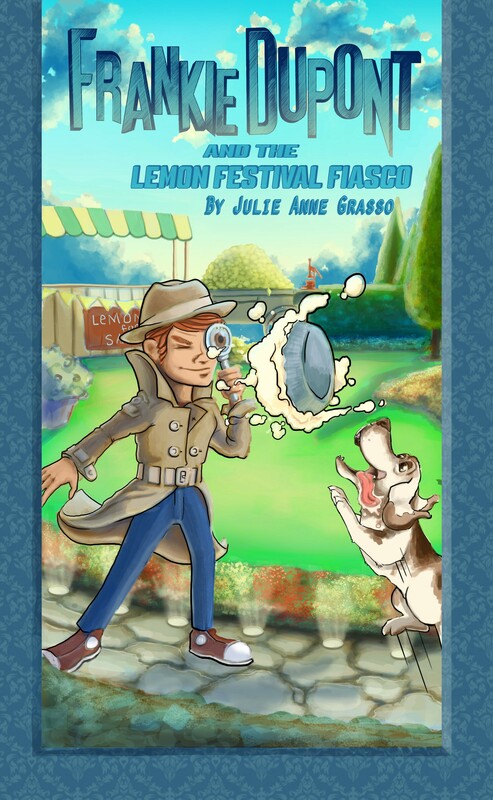 When his cousin Kat disappears from Enderby Manor, Frankie Dupont jumps on the scene, only to find bumbling Inspector Cluesome beat him to it. Cluesome thinks Kat simply wandered off. Frankie isn’t buying it. He follows the evidence to a conniving concierge, a six fingered chef, a mad maid and a shifty dwarf. 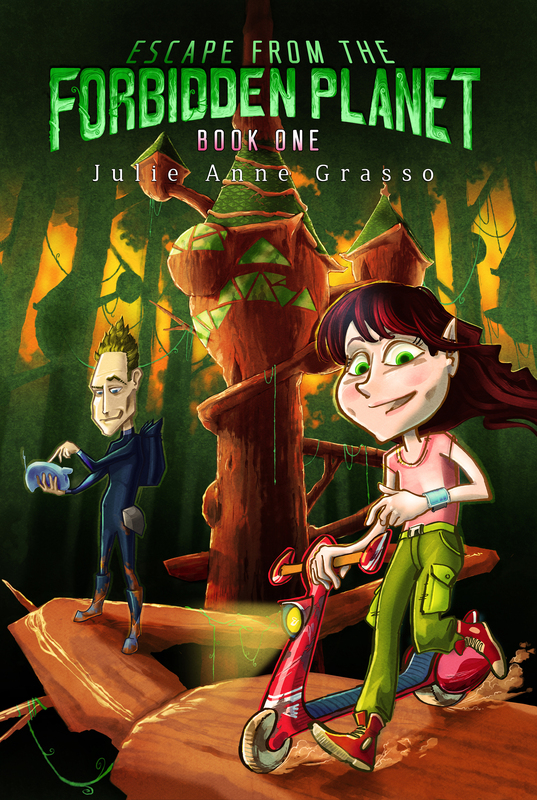 Quite frankly, none of them are making any sense until Frankie discovers, Kat’s time is running out. Frankie Dupont is less than impressed when he has to attend the sustainable science fair with Kat and Amy. Upon his arrival, he learns that Amy’s brothers have had their robotics chip stolen. Keen to recover the chip, Frankie questions the kids in the competition, but everyone seems to have a motive. When baffling clues start rolling in via “Snap-Goss” instant messages, Frankie realises it will take all of his detective muscles to solve this case. Frankie Dupont seems to catch odd-ball cases in the most unlikely places. You would think he would be used to it by now. 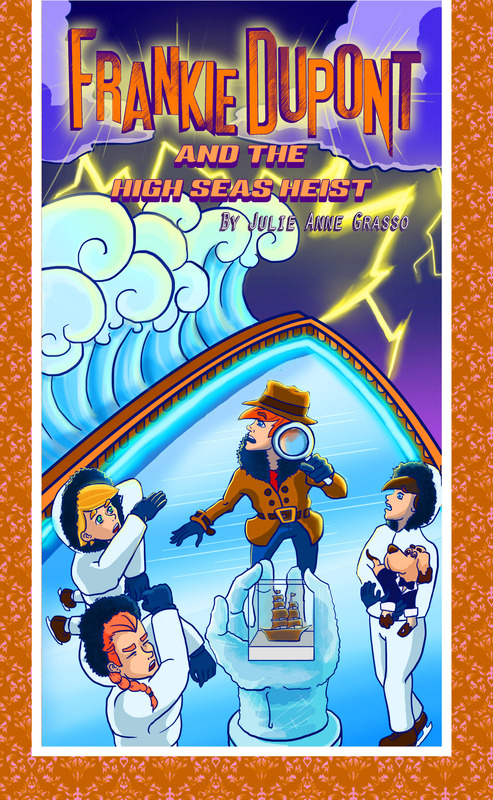 When his next case lands him on a luxury cruise liner full of devious chocolatiers with ulterior motives, Frankie will be expected to solve the crime, even before it’s committed. Although his mind is certainly up for the challenge, Frankie realises his stomach is yet to find its sea legs. Suited for confident readers aged 8-12. Packed with nerdy technology. Best read in order. Caramel Cinnamon thought the worst day of her life was the day her grandparents, the King and Queen of the Elves of Cardamom went missing. She was wrong! The day she spills sticky toffee syrup onto her father’s computer, that’s when her worst nightmare begins. She finds herself marooned on a forbidden planet, sent there by an evil clone with a very sticky secret. Caramel is desperate to escape. If she doesn’t she will lose her dreams of returning to Cardamom to become a healer like her Mum. Luckily, she has a secret of her own and the lives of her family and friends depend on it! Life is sweet for Caramel and things are finally getting back to normal. Well, as normal as it can be for a telepathic elf who can train trees and control computers, but she soon finds life on Cardamom is not all cupcakes and apple cider. A saboteur is hiding in the rainforest canopy, and the elves’ precious cardamom export has been wiped out. Caramel is certain it’s another trick of Alexander222 and her Aunt Isabel, but no one will believe her, and the clock is ticking. 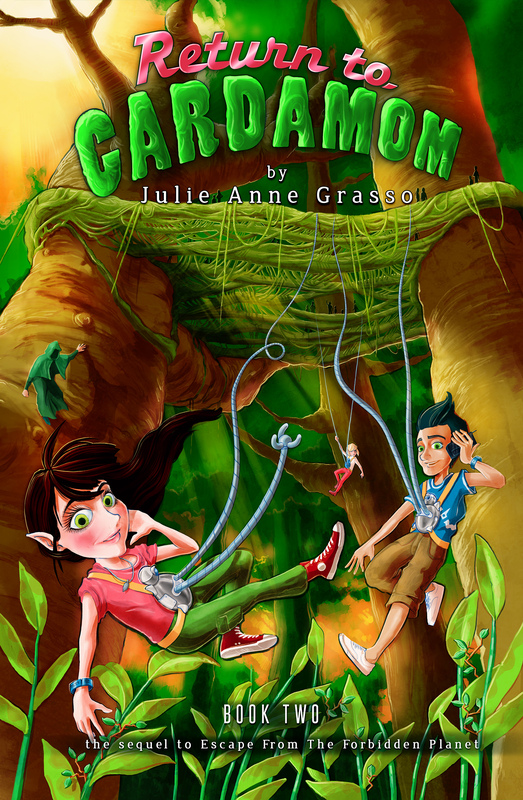 She must expose the saboteur in time to save the crop or the Elves of Cardamom will lose their livelihood. Caramel won’t rest until her theory is proven. While she is on the hunt, she makes a shocking discovery, one that will change everything. Caramel Cinnamon is one lucky elf. 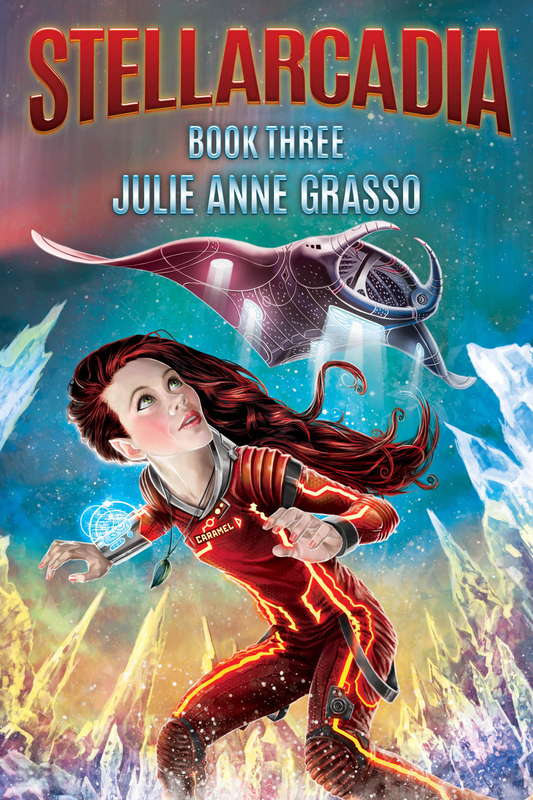 She can hardly believe she’s invited to attend the first Intergalactic Youth Summit, on-board the Stellarcadia. Her friends can’t wait to go “hyper,” but even the thought of it chills Caramel to the bone. However, nothing could compare to the icy reception she receives upon her arrival. Keen to get to the bottom of it, Caramel stumbles on a dangerous conspiracy, but no one will believe her. In the exciting conclusion to The Adventures Of Caramel Cardamom Trilogy, Caramel will have to do more than outwit her enemies, she will have to convince her friends to take her seriously.